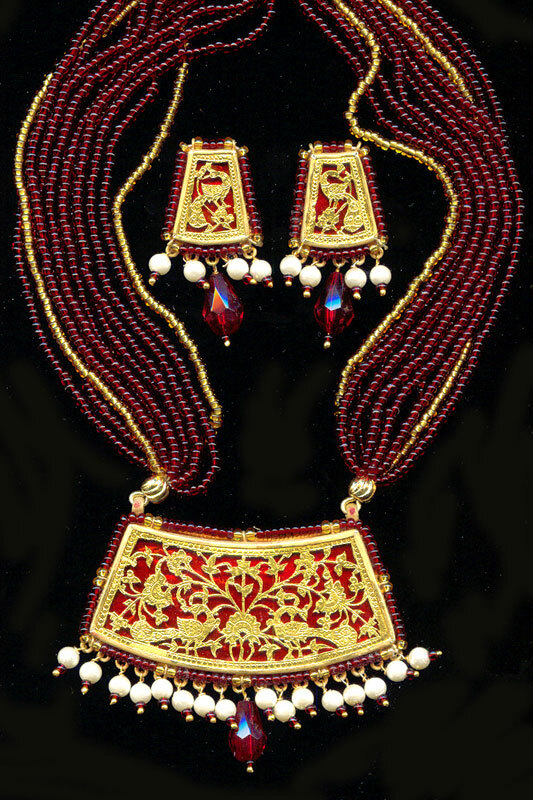 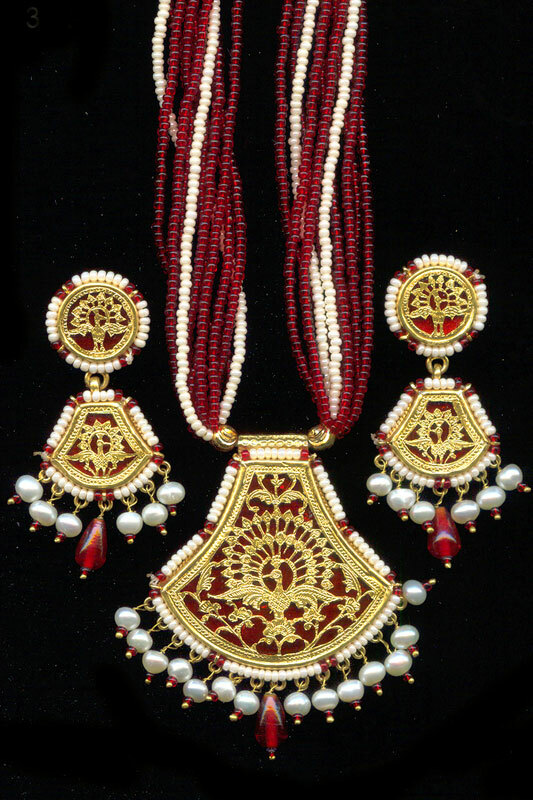 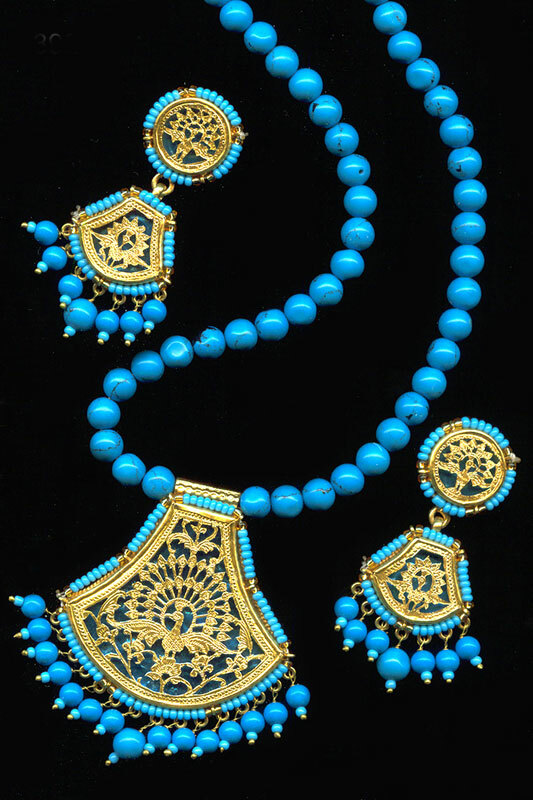 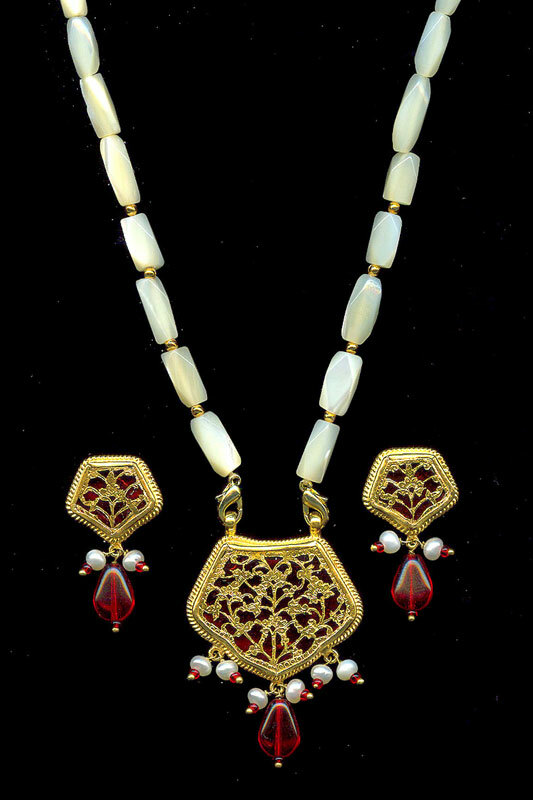 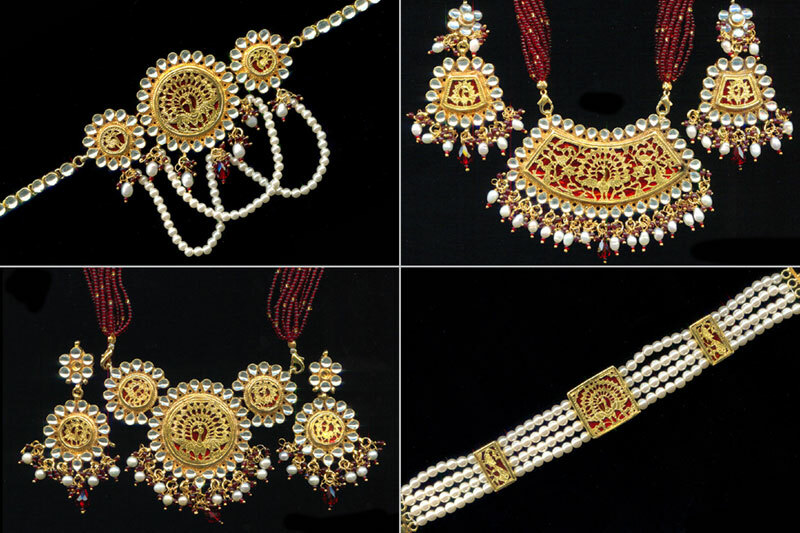 Thewa pendant set with earrings. 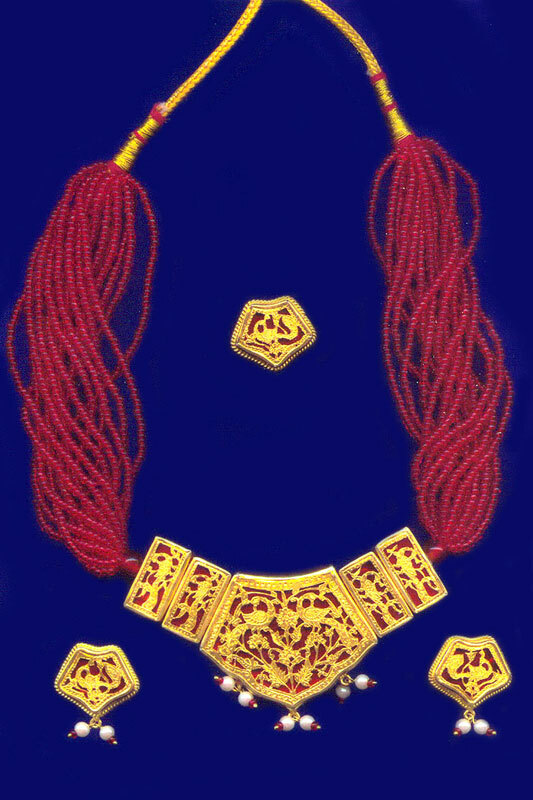 Rod is dipped in diluted sulfuric acid to remove impurity’s. 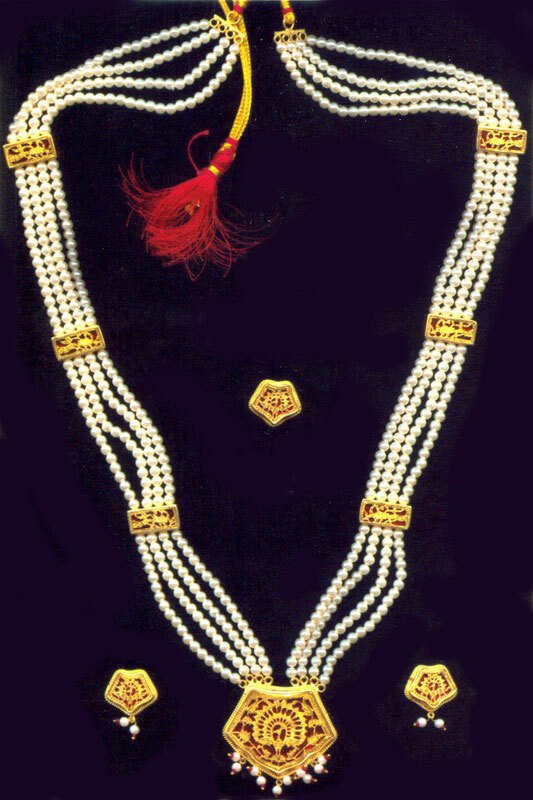 Thewa jewelry with kundan detailing. 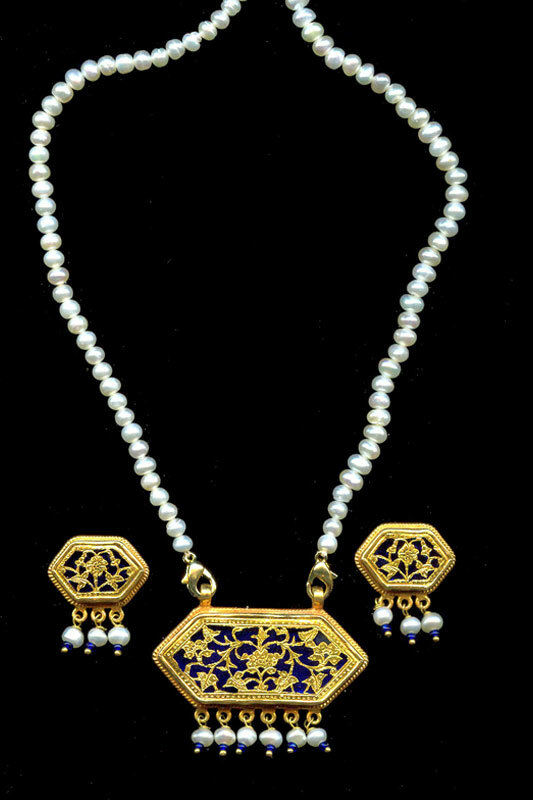 Described as 'rangeen kaanch pe sone ka kaam' or gold work on colored glass, thewa is essentially a form of quasi-enameling where a silver wire frame is covered with delicately patterned gold leaf and sunk into a softened layer of colored glass or enamel. 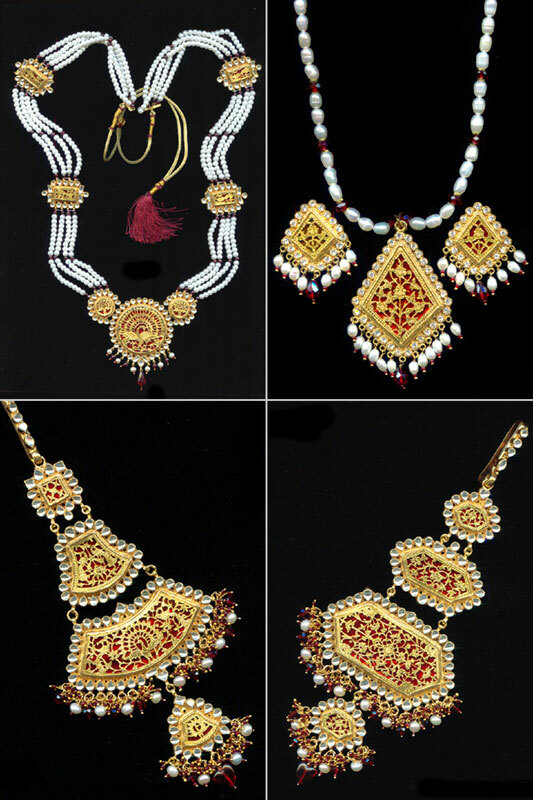 This traditional Rajasthani art of infusing 23K gold with gemstones and multicolored glass has an intricate and elaborate process in which the entire piece of jewelry is handmade and can take more than a month's time. 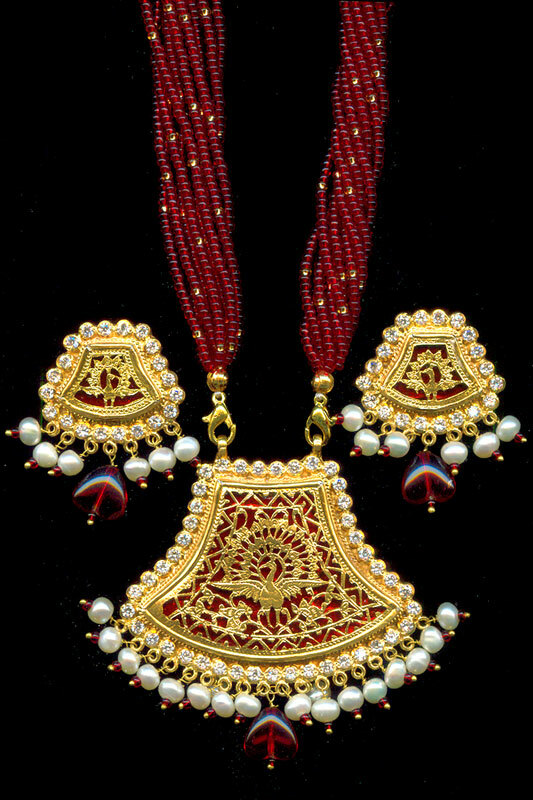 Traditional product range includes ittardanis, boxes, platters, betel-nut containers, water sprinklers and card boxes. 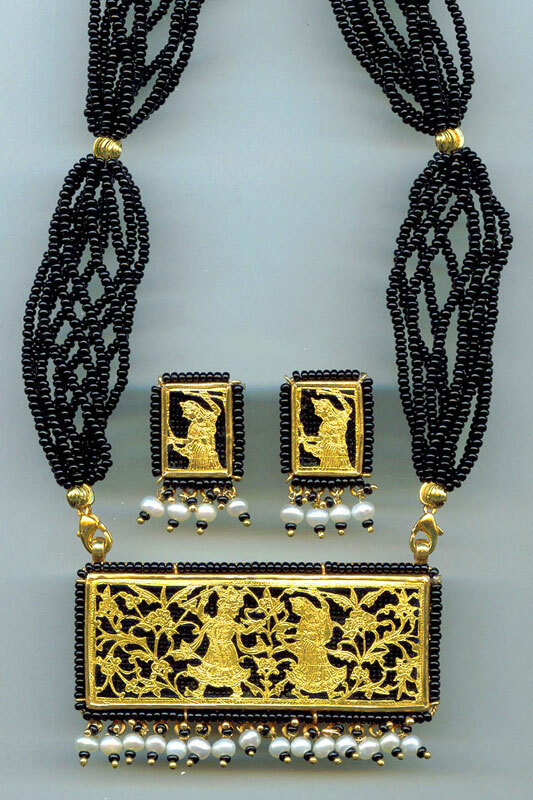 With the loss of patronage from royalty and nobility, the craft is now more or less restricted to the making of jewelry - pendants, earrings, rings, broches, bangles and cuff links. 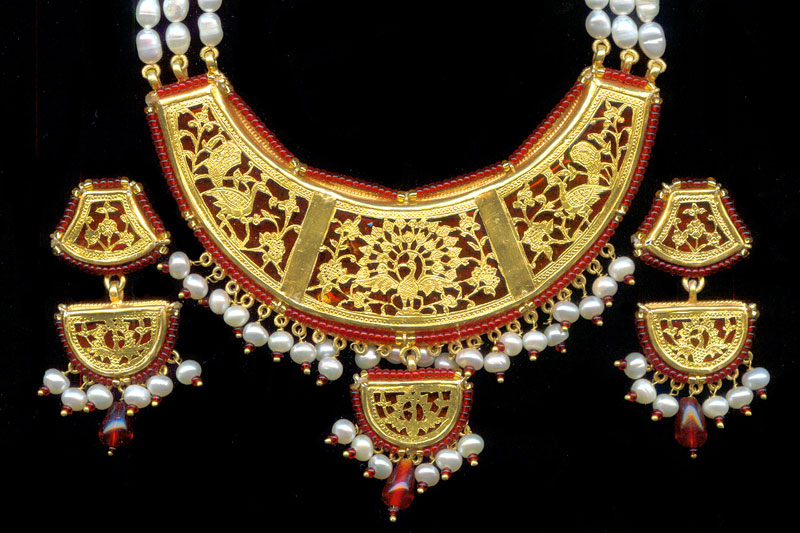 The motifs have evolved too - the primary forms in vogue today are floral trellises, peacocks and elephants.